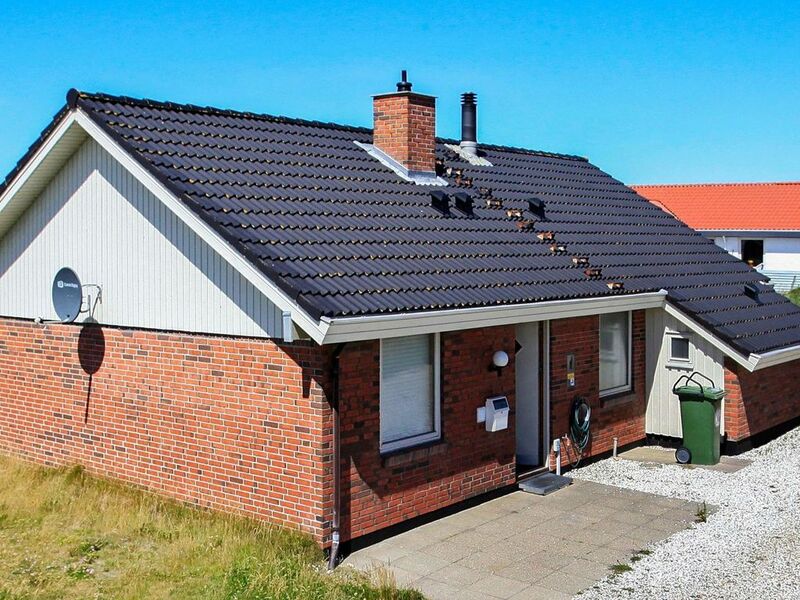 Attractively furnished holiday home on an open dune plot with views of the North Sea and just a few meters from the beach. From one of the windows in the spacious living room you can see the sea. There are two bathrooms, one of them with a sauna. Furthermore, living room, kitchen with dining area and three bedrooms are available. On the terrace there is a sandpit for children. Oil heating and wood stove provide for convenient warming.